You are at:Home»International»The Heart of the Pacific – with a twist of France thrown in! The Heart of the Pacific – with a twist of France thrown in! I love France and all things French (the language is just sublime!! )…but travelling from Australia it’s a big, planned, expensive event. So just a short flight away, we get to experience the influence of French colonial history, the blend of flavours and of course the language, while also immersing oneself in the Melanesian culture. And remarkably the combination works beautifully! Noumea has a fun cosmopolitan vibe being the capital of New Caledonia, and best of all… pain au chocolat!! Mouth watering and delicious! If you’re new to travelling, and a little cautious – this is an amazing safe place to start. The kids will be loved, the food you eat will be exceptional, and you can mix up your accommodation options from 5 star hotels or overwater bungalows to farm stays or even camping. There is something available for every budget. For those of you who have been on a cruise and briefly popped into Noumea – unfortunately you haven’t seen the best! Actually you haven’t really experienced New Caledonia – so do yourself a massive favour and actually spend some time on this exquisite piece of paradise. 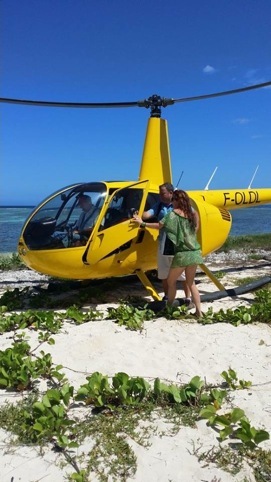 I was so thankful to experience, explore and relax at Nouvelle Caledonie compliments to New Caledonia Tourism. Because it’s French…is it expensive? The local currency is the French Pacific Franc. ATM’s are at the airport and located throughout Noumea. I flew with Aircalin. They fly direct into Noumea in two hours from Brisbane, less than three hours from Sydney and under four hours from Melbourne. Great airline, delicious food with plenty of flights to choose from. You could actually do a weekend trip here it is so close. Qantas also flies direct into Noumea. No, not for Australian or New Zealand passport holders. Make sure you have a passport with 6 months validity and a return air ticket though. Was the snorkelling any good? Was it good….it was amazing!! Their protected inner lagoons offer pristine clear (and very clean) waters and some of the most spectacular snorkelling and diving in the world. Every day I drifted over corals and abundant aquatic life sporting all the colours of the rainbow. What was your favourite thing to do in New Caledonia? Snorkelling, standup paddling, tube riding to name just a few. I just loved being in/on the crystal clear water. The water temperature is pretty consistent all year round averaging 23 degrees and this is the largest lagoon classified as a UNESCO World Heritage Site. 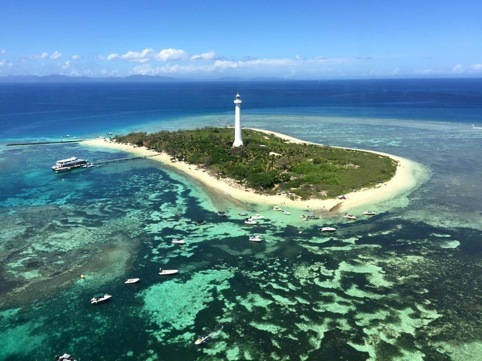 ‘Phare Amedee’ /Amedee Lighthouse – a brilliant day trip from 8.30am to 4.30pm, and includes hotel pick-up, buffet lunch & wine, island dance show, glass bottom boat trip with commentary, barrier reef cruise along with a few demonstrations like how to climb a coconut tree. I loved that everything is included in the price (which was around $190 depending on currency rate at the time) for an adult. Children’s prices also available. I swam with the turtles as they grazed on the sea grass – never done that before!! Ile Des Pins /Isle of Pines – this little piece of magic was just a 20 minute flight south of Noumea. It was here that I experienced no fuss, no tourism (no cruise ship in on this day), and a simple paced way of life. This was the untouched beauty I was wanting to see. If you want shops and night life – not your spot! You don’t rush here – the beaches are deserted, the view’s are breathtaking and the water is so blue . You must pop into the natural pool of baie d’Oro – which is exquisite, and my food tip is eat seafood and in particular their variety of escargot (snails) which you will not find anywhere else in the world. A rare treat! We stayed at Le Meridien Ile Des Pins and this is one of the best places to eat, along with Oure Tera. Prices may be high but worth every penny (or should I say Franc)! L’Escapade Island Resort have the famous bungalows overhanging the water which is pretty unique and they are very affordable. We just went for a evening trip which was spectacular but didn’t stay. It’s on a protected bird island and the birds actually make quite a din which is the islands downfall (well we shouldn’t be on it I feel). ‘ile aux canards’ /Duck Island – is a small island, just a few minutes travel from Anse Vata beach by a water taxi. To have such quality coral, reef, and fish around so close to the hub was a real amazement. 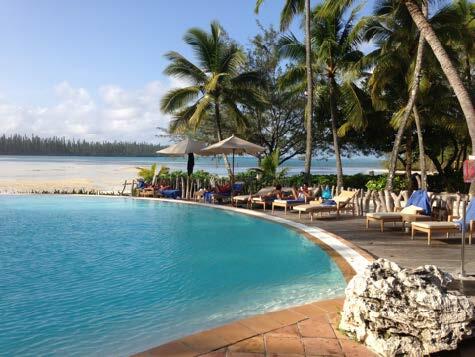 You can hire sun lounges and umbrella’s and their is a cafe to enjoy a lovely meal at. My tip is to wear reef shoes as there is coral all the way up to the beach. You could bring your own picnic lunch over, enjoy the snorkelling or rent a kayak. For the adrenaline junkies, the kitesurfing in August and September is incredible. Or if skydiving, paragliding, diving, quad biking is more your thing…it’s all on offer here. When you leap into the blue sky you will never forget this vista. When we arrived we headed north for 2 hrs and stayed at the new Sheraton Deva Resort & Spa which is a 5 star with restaurants, spa and 18 hole golf course. It sits on 13km of absolute beachfront and natural reserves, just perfect for a multitude of water activities. I would recommend this location for time away from the kids as it’s just such a sanctuary … however if that’s not possible there is a kids club for the little ones and plenty of bike riding, swimming, snorkelling, hiking and other options to do here. 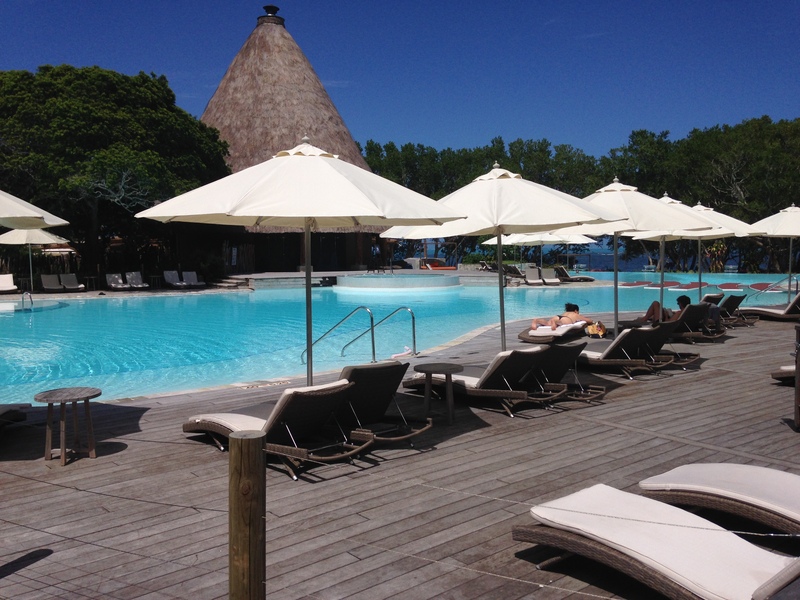 In Noumea we stayed at Hilton La Promenade, Le Meridien Noumea, and Chateau Royal Beach Resort and Spa. All these have stunning beach views if you choose those rooms, with pools and restaurants. Probably would choose Chateau Royal as my pick here. 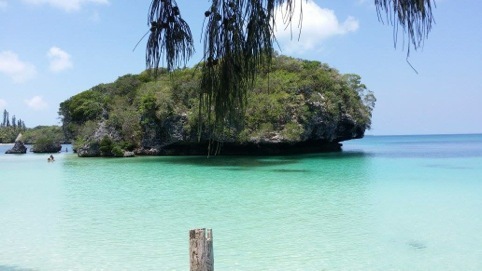 But if solace, and a slice of heaven on earth is what you are after, then I would really recommend going to Isle of Pines Le Meridien at Baie d’Oro. This 5 start resort will really live up to what you hoped for. My tip is to joint up to the free Starwood hotel membership as this will give you added benefits. It was very warm & humid. So the essential beach wear (swimmers, rashie, suncream, light clothes). Mozzie repellant, and my best item was my shoes…interchanging coloured ribbons so each day it looked like a new pair of shoes! (best purchase ever)!!! If you have room in your luggage take a snorkel. They are roughly $10 to hire for a few hours. There is a Decathlon in Noumea which is a huge sports store, so if you don’t end up taking them – it be worth your while buying some for the family there. My tip if you do end up making this trip to Decathlon…they sell an Easybreath mask. I have struggled a few times diving under the water following fish, and then end up choking on half the ocean! These masks make diving a breeze especially if you are a little like me with getting the breathing thing down pat. My kids love them, however people in Australia do look at us like we are aliens as they are not common here yet. What’s your secret to traveling light?